OTTAWA, ON--(Marketwired - May 12, 2016) - The 2016 Métis Nation of Ontario (MNO) elections drew a record number of MNO citizens participating in the election of Métis leaders at the regional and provincial levels, with a 44.4% increase from the 2012 election in total ballots cast. 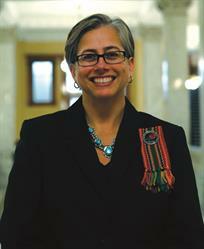 Métis lawyer and educator, Margaret Froh, was elected as MNO President. "I am deeply honoured and humbled to receive this mandate," stated President-elect Froh. "So many MNO citizens -- right across the province -- made their voices heard in this election. I am especially inspired by the level of engagement of Métis youth throughout this election process." "Everyone who ran as candidates and all those citizens who voted in this election have contributed to making our nation stronger," said President-elect Froh. "I want to thank everyone who was part of our democratic process, including all the candidates, our electoral officials and staff, and the many volunteers who assisted the various campaigns, worked at polling stations, and assisted in the election. Our citizens have spoken and I look forward to working with all MNO citizens to make the Métis Nation stronger." 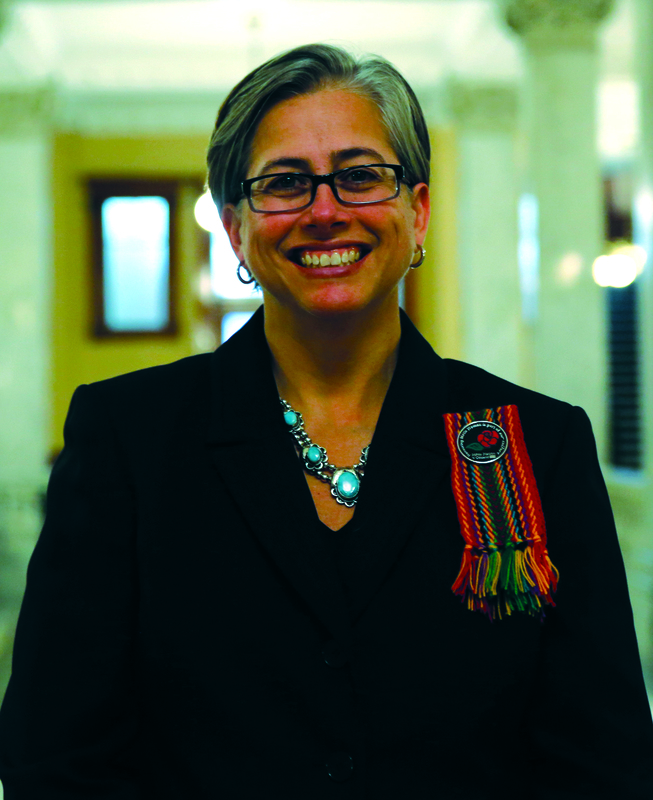 President-elect Froh lives in Barrie, Ontario, which is within the traditional territory of the Georgian Bay Métis Community and will become the first female MNO President. President-elect Froh received her law degree from the University of Toronto, a career she decided to pursue after volunteering on the legal defence committee for Mary Pitawanakwat, an Ontario Ojibway-Potawatomi woman who was fighting discrimination within the federal public service. President-elect Froh is a past President of the Indigenous Bar Association in Canada (IBA), a national association of Métis, First Nation and Inuit lawyers, judges, law professors and law students; and is the current Chair of the IBA's Law Student Scholarship Foundation. She taught as adjunct faculty at the University of Toronto Faculty of Law, and is faculty at the Banff Centre's Lougheed Leadership Institute specializing in Indigenous governance. Prior to being elected as President and Chief Executive Officer, President-elect Froh served as the MNO's Director of Strategic Policy, Law and Compliance and as MNO's Associate Chief Operating Officer. All other Executive positions on the Provisional Council of the Métis Nation of Ontario (PCMNO) were contested during the election as well as three Regional Councillor positions, and all incumbents were successful in being re-elected. "I want to express my gratitude and appreciation to outgoing President Gary Lipinski, and to congratulate all returning and newly elected members of the PCMNO. The MNO is blessed with having an extremely skilled and dedicated Métis public service, and a very strong and experienced group of leaders in the new PCMNO. Thanks to the excellent leadership the MNO has had in the past, our hard working public service, and the incredible depth of leadership at the local, regional and provincial levels within our nation, the Métis Nation of Ontario will be ready to move forward on the many opportunities before us in the coming months and years," concluded President-elect Froh. Complete results of the MNO election can be viewed on the MNO website at the following link: http://www.metisnation.org/governance/2016-election/.